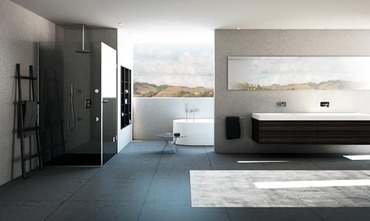 Thanks to its front outlet, Fir Unico® is the only universal built-in system also compatible with the wall-mounted built-in wash basin mixers and not only with the wall-mounted built-in shower mixers and the wall-mounted built-in thermostatic mixers. 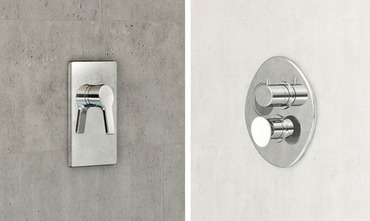 FirUnico® is compatible with all of the wall-mounted built-in was basin and shower mixers, modern and classic, in the Fir Italia collections: over 100 tap external parts, characterized by different types of design and aesthetics, are matched with the same built-in part. 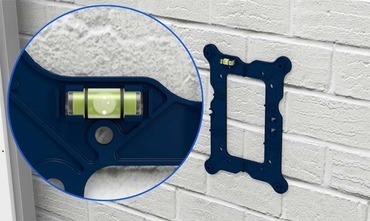 A single built-in system for all types of wall-mounted built-in wash basin and shower mixers: thanks to FirUnico® this is really possible. 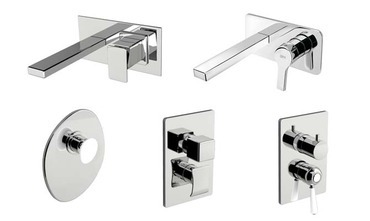 Wash basin mixers, shower mixers from 1 to 4 outlets, thermostatic shower mixers from 1 to 4 outlets. 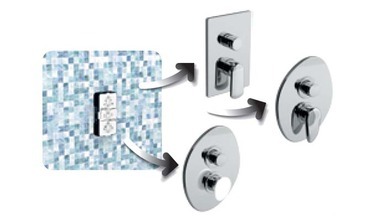 Thanks to FirUnico®, you can realize shower configurations that foresee any type of function, from a minimum of 1 to a maximum of 4 functions: shower heads, hand showers, wall-mounted slide bars, shower body sprays and water spouts. 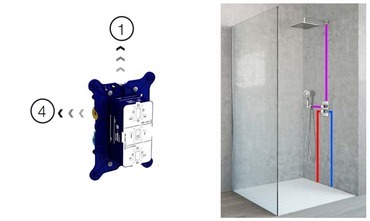 In shower configurations, Fir Unico® also allows you to choose which outlets to use among the 4 available ones: so you will have the possibility to select only the one or those more convenient for you, depending on the hydraulic system and on the shower configuration you are interested in. 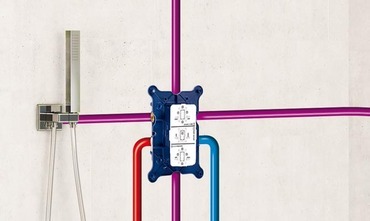 The unique flow control technologies, with which FirUnico® is equipped, guarantee optimal installation. 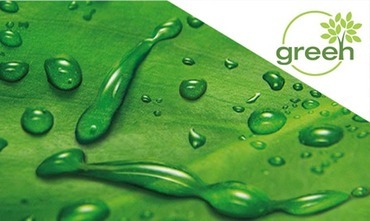 Thanks to its lead-free DZR brass built-in unit, its food grade gaskets and its flow control adapters made of technopolymer, FirUnico® is a "green" product, respectful of both human health and the environment.